BEDFORD, Mass., Nov. 12, 2018 — VoltDB, the enterprise-class database that powers real-time intelligent decisions on streaming data, today announced a collaboration with MapR Technologies, Inc., provider of the industry’s next generation data platform for AI and Analytics, to enable organizations to automate more intelligent decision-making with machine learning. By continuously exporting processed streaming data from VoltDB to the MapR-FS file system and importing trained machine learning models back, enterprises can immediately apply news insights to drive business outcomes. 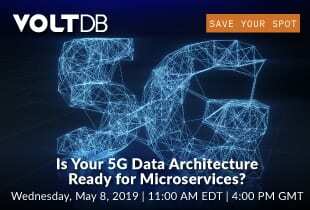 In this joint solution, VoltDB serves as a real-time application database used in conjunction with the MapR-FS file system to derive analytics results from data streams based on machine learning algorithms embedded directly within the database infrastructure. As large volumes of data constantly stream in from multiple sources at a high velocity, the machine learning model needs to continually ingest and operationalize information in real-time with low latency. 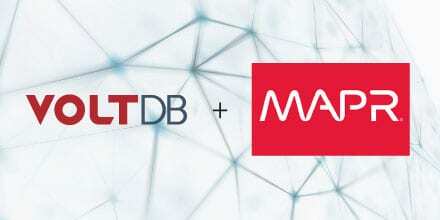 With an underlying data platform that scales to meet large workloads, MapR provides a read-write file system that brings dependability, ease-of-use and speed to the VoltDB database and its streaming applications such as real-time scoring, policy enforcement, and customer interaction, providing unique capabilities for managing and protecting data. “This VoltDB and MapR partnership allows our enterprise customers to apply MapR’s AI and Analytics data management on incoming data streams in VoltDB for their real-time decisions, creating significant business value for them,” said Geneva Lake, VP of worldwide alliances and business development at MapR. To learn more about this joint offering from VoltDB and MapR, click here for more information.